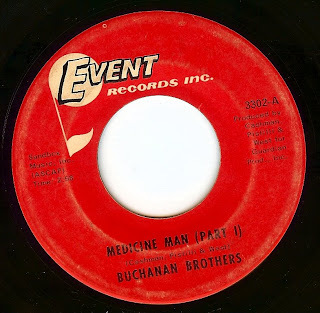 There's very little info out there about this amazing Jamaican track that I've been able to find (as always, feel free to write/ comment with any info). This duo's harmonies are out of this world, and the song and performance are top notch. Am I featuring too many New Orleans records? Personally, I don't think that's possible so here's another! Lee is backed by the inimitable Meters on this track. 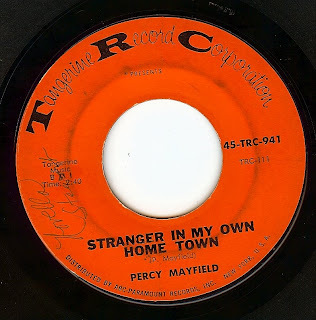 This Percy Mayfield track combines an ultra-swinging background with Percy's deep confessional lyrics and massively soulful voice. You better believe that I'm thankful for it. Best drum intro of all time? It just might be this track! If you've been hanging around here for a while its' no secret how much I love New Orleans records. 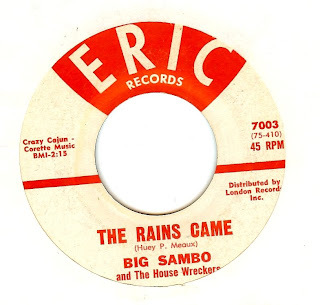 I bet that even if I continue my voracious record buying for the rest of my life it would STILL be impossible to unearth all of the 45 RPM treasures from the big easy. I must say, however, that I feel very very lucky to own records like this and this is what drives me to share this stuff with friends around the world; it's just TOO GOOD to sit on my shelves without being shared. 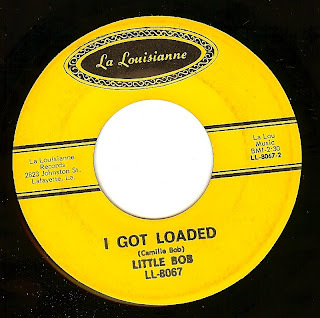 This record was a huge local NOLA hit on the legendary SEVEN B label, and it was picked up for national action by Capitol, however it didn't go anywhere on the charts. 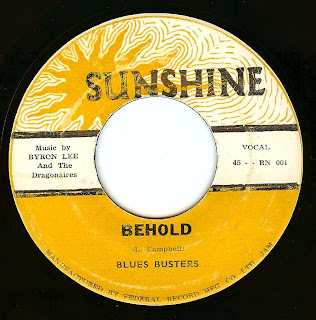 Today's entry takes us back to Chicago in the days when blues, soul, gospel influenced testifying meet up in a south side stew that completely blows my mind to pieces. Certain artists sound SO GOOD on a Sunday morning, and Ms Lewis is certainly a Sunday favorite around here. 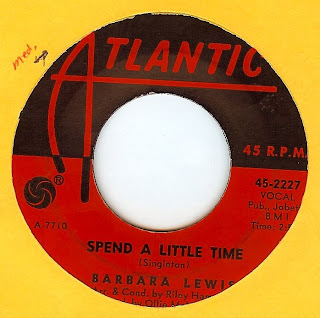 Not only do we get Barbara's lovely vocals, but that's the mighty DELLS on backing vocals. Now THAT is a match made in soul heaven. 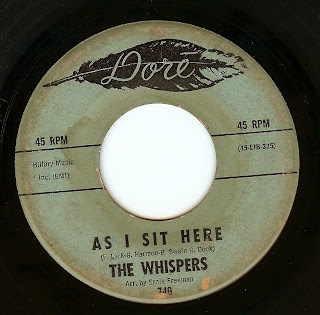 Today's entry is a beautiful east coast answer to the Beach Boys from this Providence, RI group made up of Peter Andreoli and Vincent Poncia, Jr., and had previously had a hit single together (with a third member, Norman Marzano) under the name The Videls with a song called "Mr. Lonely" which was basically a late period doo wop record. 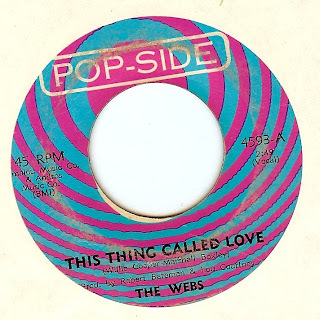 This song didn't place very high on the charts (only #31) but it sure sounds great, in its aping of the Brian Wilson sound. I can't seem to find ANY info about this group! 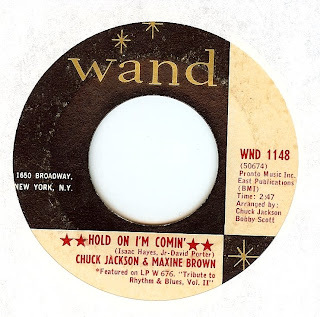 Just from the label we can gather that they were produced by the mighty Lou Courtney (he of the MONSTER tracks "Hey Joyce" and "I've Got Just The Thing") and this track is in that vein (hard pounding r&b). If anyone has any more info on who the Webs were, PLEASE write and let me know. 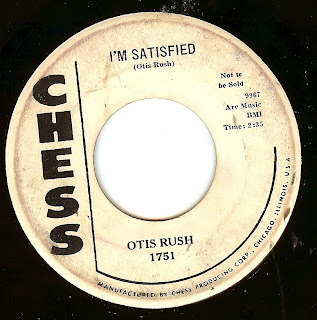 I know they cut a few other 45's (one of which tends to be quite expensive). 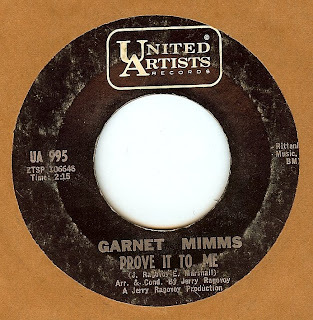 As one of the finest purveyors of deep soul, Garnet Mimms also snuck out a few uptempo tracks that will knock you off of your feet. Here's one of them and this is one of those records that just keeps reaching higher and higher until the drummer hits this sideways fill 3 quarters of the way through and nobody has a chance to not surrender to its' majesty. This strangely addictive record is one that I discovered recently, and turns out it was a minor hit. It reminds me of some of the Super K/ Buddah records productions that lean towards bubblegum rock with a hint of r&b rhythm. I like this one the more I hear it and hope you do too. The LEAST thing I can do since I missed yesterday's entry would be to feature two sides of this amazing rarity, right? 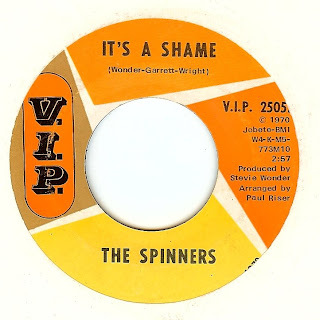 This Virginia based group (which included Mr General Johnson who went on to fame with Chairmen Of The Board and their amazing hit 'Give Me Just A Little More Time") released quite a few records, and their tune "It Will Stand", which is an anthem of the staying power of rock n roll, was a minor hit (and a major hit in the south) twice; in 1961 then again upon re-release in '64. 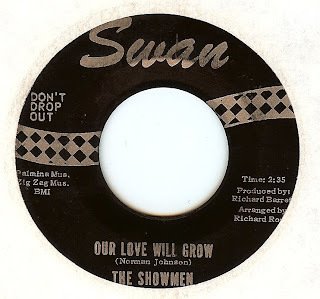 This record, which unfortunately hit nowhere, was recorded towards the end of their career for tiny Swan Records. Who knows; if this one had better distribution...Both sides are stellar. Today's artist had a long recording career in which he transferred from doo wop into soul music in the 60s with his soaring falsetto voice. 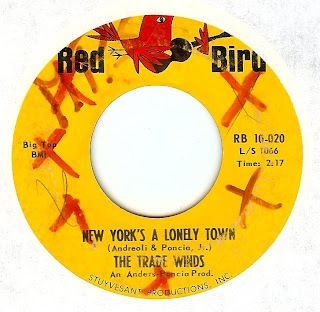 Ted was born in the south and relocated to LA in the doo wop days, but I THINK he was based in Detroit in the mid 60s when this song was recorded (if anyone knows differently, please let me know). 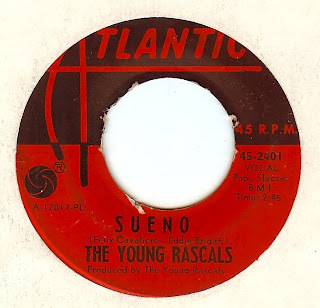 This b-side was also made (in)famous by the MC5. 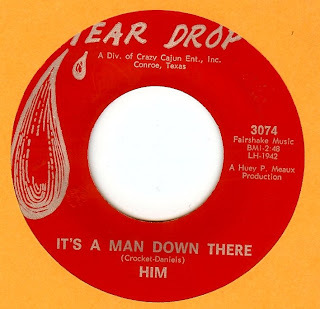 As part of the Texas gulf coast scene that also spawned greats like Barbara Lynn, Dale & Grace, and Joe Barry, this early Huey P. Meaux production perfectly captures the kind of up-close slow dancing vibe that makes this "swamp pop" era so intriguing. Taking the emotions of doo wop and mating it with N'awlins rhythm is a mighty fine thing indeed. 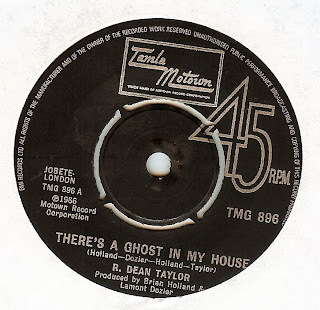 This track was later covered by Sir Douglas Quintet with Meaux once again behind the controls. 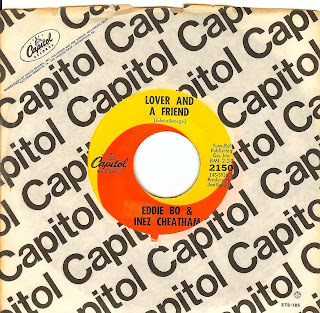 WOW...These two take the Sam & Dave classic (which was practically brand new when they cut this one) and they turn into into something even sexier, as the innuendo between a man and woman is downright SCANDALOUS singing these lyrics. VERY cool how they slowed the tempo down a bit, but lost none of the intensity of Sam & Dave's original. 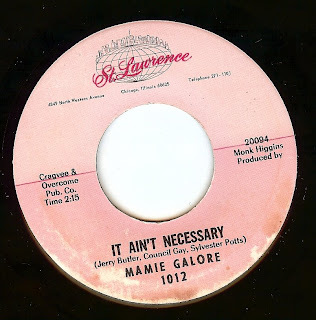 After being brought to Chicago from the Mississippi Delta by Little Milton, Mamie was signed to St Lawrence records (an offshoot of Chicago giant Chess) and cut some really great sides. This was the one track that found some chart action for her, and its' a real gem. HAPPY BIRTHDAY, DOUG!!!! We miss you and your outta site Tex mex soulful rock n roll groove thang. I'm posting Wednesday's entry a few hours early because lord have mercy, we're movin on up! The most exciting day of my lifetime; I am so proud to be able to say that I not only helped elect a black man to be president, but elected a GREAT MAN who i support and believe in with 100% of my soul. If only Toot were alive to see this...It took 40 years, but FINALLY King's dream is a reality. The revolution of the sixties was not in vain. Felt like doing something different today; Instead of posting the 45 version of this song, here is a great live performance of Little Milton in 1966 performing a song of hope, in light of today's events. It truly feels like the most important day of my lifetime. We ARE GONNA MAKE IT!!!! Just had a request for some psychedelic pop and I've been WAITING for the right opportunity to unleash this gem. Right on the flip side of the massive hit "Groovin" is this song which is basically a commercial for LSD and free love. Kinda funny that this was released on the same label that upon signing the Velvet Underground in 1969 stated "you must tone down the drug references". This song also tends to get overlooked when great psych classics get mentioned. Too bad, as it outlasts any novelty factor as it's a great song with unique and interesting instrumentation arrangement and harmonies. 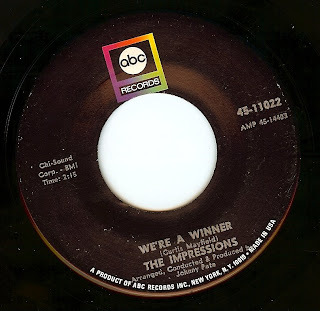 Talk about a forgotten oldie (well, at least in terms of what American "oldies" radio has spun since I started tuning in when I was a kid). 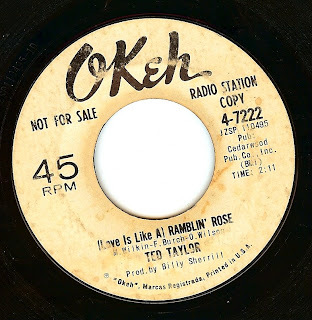 This song, the first hit from this veritable group, charted high on both the r&b as well as pop charts. 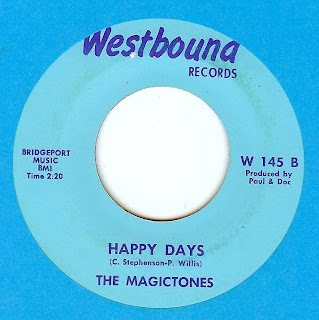 Released on the Motown subsidiary VIP, this record takes a little bit of the Detroit sound (especially in James Jamerson's incredible bassline), the Philly vocal harmonies, and rhythmically reminds me of the great late 60's Chicago soul sound. Plus, the song was co-written by Stevie Wonder. What a beautiful song, and absolutely perfect Sunday listening music. I can think of nothing more appropriate for a Saturday than this New Orleans classic! If this one doesn't put a smile on your face, I'm afraid that you have come to the wrong place (but hey, you're welcome anyhow).